In the ancient world, three dynasties of Persian speaking peoples created vast empires across central Asia and the Near East: the Achaemenid (559-330 BC), the Parthian (ca. 247 BC-AD 224), and the Sasanian (AD 224-651). Although each of the Persian empires shared certain cultural attributes and a fair amount of geographical space, each dynasty was also unique and important in its own way. 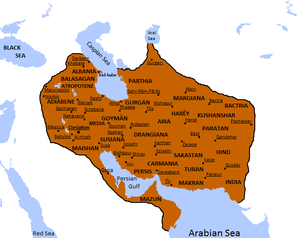 Stretching from the Indus River in the east to the Euphrates River in the west, and from the Oxus River in the north to the Persian Gulf in the south, the Sasanian Empire was every bit as large and powerful as its two predecessors. 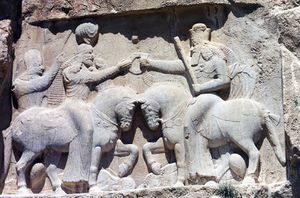 The Sasanians were known for following and codifying many of the Achaemenid and Parthian cultural and religious traditions, such as the rituals of the Zoroastrian religion in the collection of religious texts known as the Avesta. 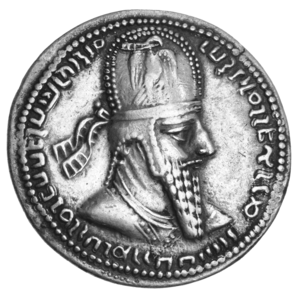 Like the Parthians before them, the Sasanians fought the Romans, and later the Byzantines, for control of Mesopotamia and ultimately lost a war for their very existence against the Islamic Arab armies, which signaled the beginning of Islam’s ascendency in the region and the end of the ancient Near East.